Complete Wilderness Navigation (CWN) allows you to Really Learn Hands-on Wilderness Route Finding in both Forests & Mountains. This one-of-a-kind Professionally Taught Wilderness Navigation Course covers the entire content of the Navigation Core Seminar, Navigation Field Session and Navigation Mountain Session all in 5 Exciting Days. 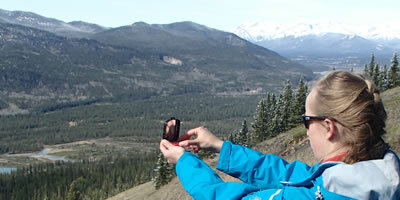 keeps BWI Classes Small, no more than 6 Participants so you can really learn and master wilderness navigation. 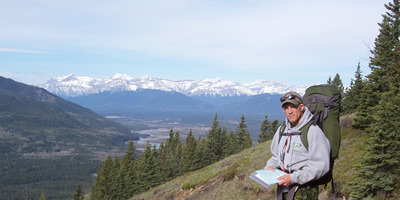 Complete Wilderness Navigation is a Hands-on Course that Teaches Topographical Map & Air Photos Interpretation, Magnetic Compass, GPS Receiver, Pace Bead & Altimeter Use. Course Covers Contour Interpretation, Route Planning, Wilderness Travel Skills, Latitude & Longitude, MGRS & UTM Grid References. Extensive Map and Compass Skills will be practiced including Declination, Inclination, Bearings, Back-bearings, Pacing and Resections. Emphasis throughout the course is on Wilderness Route Finding, Learning Topographical Interpretation, & Developing Safe Wilderness Travel Skills. 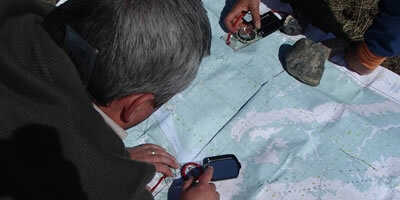 The CWN also covers, GPS Programming, GPS Map Integration, Altimeters use, Clinometers use, Night Navigation Techniques and Natural Navigation. This Course allows you to Master Wilderness Route Finding quickly and easily on a 5-days World Class Professionally Run Training Course. 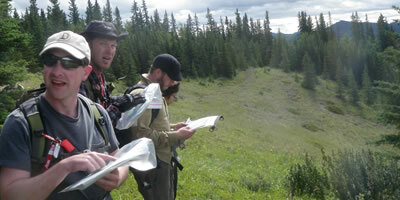 During the CWN expect to Learn Constantly and Become Confident in Wilderness Navigation Participants while earning BWI's Navigation Certificate on successful completion. Bruce Zawalsky will be the Principle Instructor for this Course, ensuring a high level of professional instruction. In Nordegg on 3rd & 4th Nights the Instructional Staff will be Camping at Dry Haven Provincial Recreation Area and you are encouraged to camp at the same site (2017 Fee $20 per Night) or stay nearby at Shunda Creek Hostel or other Accommodation.